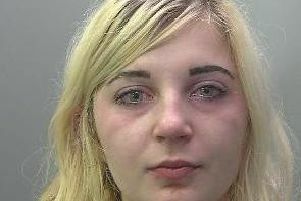 Officers in Sussex are appealing for help to find a teenage girl who has links to the Peterborough area. Police are becoming increasingly concerned for the welfare of 16-year-old Zahra Mathew-Evans, who was last seen shortly before 2pm on Tuesday (16 February) at her home in Angmering in West Sussex. Zahra is described as white Asian, about 5ft 3”, with very long and straight black hair. She was last seen wearing black leggings, a white short-sleeved crop top and open-toed white shoes with a four-inch heel. She is known to have links to Sussex, Essex, Peterborough and Suffolk. Inspector Roy Hodder, of the Sussex Police missing persons team, said: “We’re increasingly concerned for Zahra as she has been missing for 48 hours now. She is young and vulnerable, and has no access to a mobile phone.